What is the best rifle bipod? Many gun owners are puzzled by this question, especially with the numerous choices out there. For any purposes, choosing the right bipod should improve your shooting accuracy and precision. Firing a rifle is an excellent way to spend your time. It can help you exercise your body, specifically your arms, shoulders, and legs. Moreover, it can also improve your mentality and focus. And, best of all, shooting is a way to hone your patience and awareness of your surroundings. A rifle bipod acts as a leg for your gun so that you can make more accurate shots. The function of a bipod is just the same as that of a camera tripod. A bipod gives support to the rifle when you attach it to the gun’s forend. The basic purpose of this gun accessory is to protect the rifle from unwanted movements and vibrations. Furthermore, a bipod lessens the stress for the shooter. Firing a rifle without a bipod is hard, especially if you are minding accuracy. A gun’s weight is not easy to carry, too. The bipod can also absorb some recoil energy. How to use a rifle bipod? When using a rifle bipod, make sure that you do not place it on firm surfaces. Yes, it is true that hard surfaces can give a stable and steady rest to the gun, however, if you fire your rifle and allow it to recoil freely, the shot will be sent high. To fully maximize the capacity of your bipod, always keep its leg as low as possible. In this position, you can lessen the flex of the bullet while it is still in the barrel. You should also incline slightly to the rifle to firm up the bipod. Instead of using a hard surface, find a soft patch or dirt. Experienced tactical and military personnel even scrape the ground just to reach the soft part of the soil. You can also place the rifle bipod on a trench with little depth. Overall, a bipod is a great support for your rifle, if properly used. How to choose a rifle bipod? 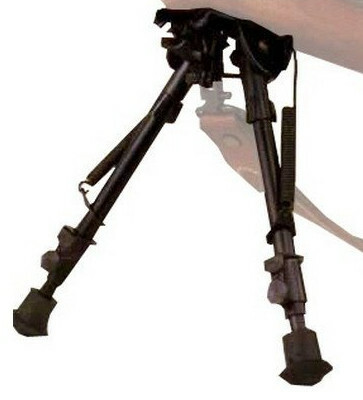 A rifle bipod’s functionality depends on its height. For each rifle type, there is a certain height requirement that your bipod must support. Ideally, a swivel 6 inches to 9 inches is the most common height for a rifle bipod. This height is perfect for competitive games. Also, a pivot level 9-13″ is the ideal bipod height for any purpose. Aside from getting the right bipod height, here are some of the things you have to take into consideration. You can get the scope height of your rifle by taking the lens’ diameter (in millimeters) and add to it 2-4 mm (breadth of the body). After that, divide the result by 2 to get the scope height. Another way to determine the scope’s height is to get the diameter of the scope’s body. Divide the measurement you get by 2. The best rifle bipod should be durable. It should have a construction that can support even the heaviest of rifles. As it has been mentioned, most of the modern rifles have added features that make them weigh more. If you have a low-quality bipod, sustaining stability and balance of the rifle can be hard. This will result in poor and less accurate shots. Moreover, a bipod should never add more weight. Aside from being durable, your bipod should withstand different weather conditions. Make sure it has protective features so that it won’t corrode or rust. Also, it should be resistant to vibrations and tension, especially when you are shooting. A rifle bipod with a rubberized stand is a preferable choice, too. It strengthens the friction between the ground and the bipod, hence fewer chances of slips and slides. Investing in a rifle bipod is a matter of preference. But if you have a need for this gun accessory, always put on your mind that quality matters more than the price. You may opt for a cheaper bipod, but it might not guarantee satisfactory performance. On the other hand, a rifle bipod that has an outrageous price may have additional features you will never need. Therefore, the best rifle bipod must exhibit qualities that match the price, and some of those qualities are a must. 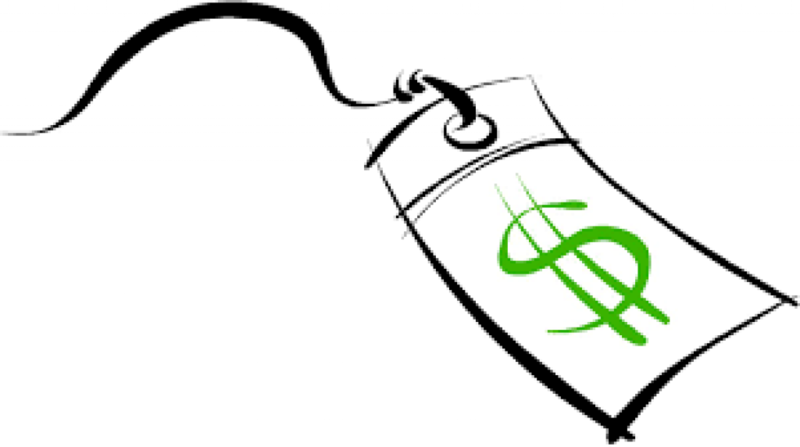 Although this is not applicable to all situations, competitive brands are usually those that have higher prices. The UTG Tactical OP Bipod is an excellent choice for a rifle bipod. You have the full control over its height so that you can get the ideal position of your rifle in relation to the ground. Because of this feature, your accuracy in firing will certainly improve. It has a rubberized stand to lessen the stress between the bipod and the ground. This rifle bipod is handy and very lightweight. It is easy to use and has a unique dual mounting design for greater stability and support it can provide to the rifle. Furthermore, the entire construction of the UTG Tactical OP Bipod is made from aluminum for enhanced durability. Aside from that, its top platform is forged with steel so that it can adequately hold the rifle without losing balance. Moreover, this rifle bipod uses both of the Picatinny and swivel stud mounts. Its arms are foldable and have spring tension control to minimize vibrations and unnecessary movements. Further improving its performance is the presence of the Posi-Lock wheel a quick retraction button. The UTG Tactical OP Bipod also allows you to do panning movements with your rifle. This rifle bipod can surely enhance the stability and accuracy of your shooting. The Ade Advanced Optics TCF88 Super Duty Tactical OP QD Bi-Pod can be mounted on any rifles that have a Weaver or Picatinny rail. Moreover, it can also be attached to any gun with a swing swivel stud on its forend. The Ade Advanced Optics TCF88 Super Duty Tactical OP QD Bi-Pod is made from high-grade aluminum. You can rely on its durability and versatility, especially in tight situations or challenging environment. 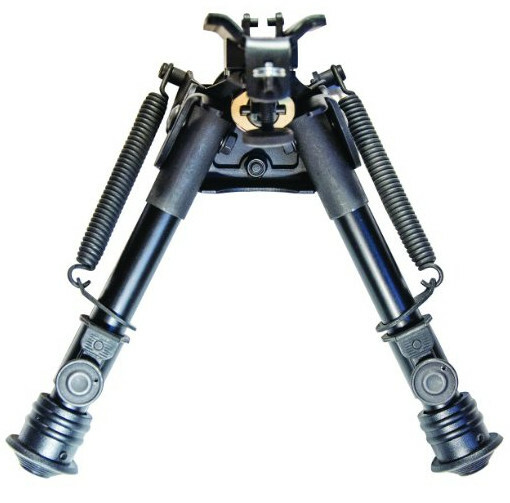 The arms of this rifle bipod are foldable and have a spring for tension control. Aside from being foldable, its legs are also extendable. Therefore, you can adjust the height of this bipod depending on your needs. Furthermore, it also has a complete set of ergonomics, such as the quick retraction button and Posi-lock. These features make the Ade Advanced Optics TCF88 Super Duty Tactical OP QD Bi-Pod as an easy-to-use gun accessory. It is also lightweight (only weighing 13.3 ounces) and has a rubberized, flat stand. This bipod is also capable of panning movements. The TipTop EZ-Pivot & PAN Bipod is one most the most durable bipod models you can find. It is rather high and very compact due to its aircraft-grade alloy and metal construction. Despite being sturdy, this rifle bipod is still among the lightest in its class thanks to that. It also has an anodized finish to resist rusting and withstand weather conditions. One of the unique features of the TipTop EZ-Pivot & PAN Bipod is that it can allow the user to pivot the rifle on uneven or rocky terrains. Moreover, you can do that simultaneously with scanning horizontally (panning motion). All of these motions are supported by only using a single Tension lever. It also has easy-to-use features such as its patented quick-locking design, which enables you to attach it to the sling stud of the rifle quickly. This patented design cuts off the attaching and detaching time dramatically. A precise spring is also integrated with the TipTop EZ-Pivot & PAN Bipod so that it can provide steadier positioning to the rifle. This feature is perfect if you are aiming at long distance targets. It also has a two-section telescope legs so that you can quickly adjust it from 6 inches to 9 inches. You can easily store this rifle bipod. This convenient feature is possible thanks to its foldable legs, which you can arrange parallel to the barrel of the gun. Same as the other rifle bipods, the Harris Engineering S-BRM Hinged Base BiPod provides excellent support to your gun. 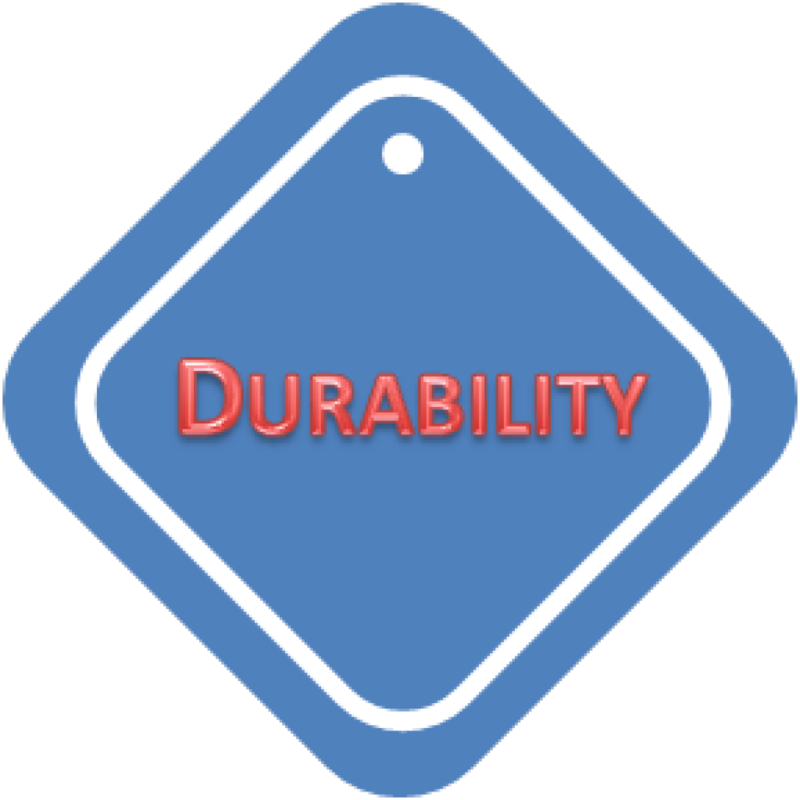 It has a sturdy construction (aircraft-grade aluminum alloy) for higher reliability and durability. Its black anodized finish makes it resistant to rust and extreme weather conditions. Despite being lightweight, this rifle bipod can hold up even the heaviest guns. You can even mount it to 15-pound rifles without any worries. Attaching and detaching it is easy too, thanks to its quick lock mechanism. Its legs are foldable and adjustable from 6 inches to 9 inches. The swivels are not so stiff but not too loose as well, which makes up for the stable motion of this rifle bipod. The Harris Engineering S-BRM Hinged Base 6 – 9-Inch BiPod also allows horizontal scanning with ease. When attached to the ground, its rubberized stand provides powerful friction to prevent slips and slides. The Primos Gen 2 Bipod Trigger Stic is probably the tallest pod in the group. 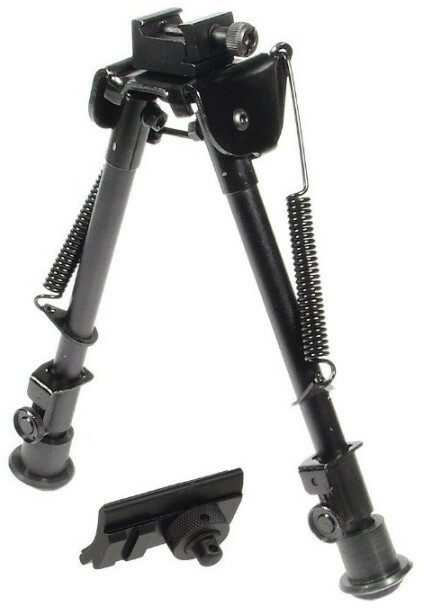 And if you are not satisfied with a two-legged support, a tripod like this will perfectly complement your rifling experience. The height adjustment is 25 inches to 61 inches. This height is perfect for marksmen who have more shooting accuracy while standing or kneeling. An easy-to-use trigger can quickly let you adjust the height of this rifle bipod. 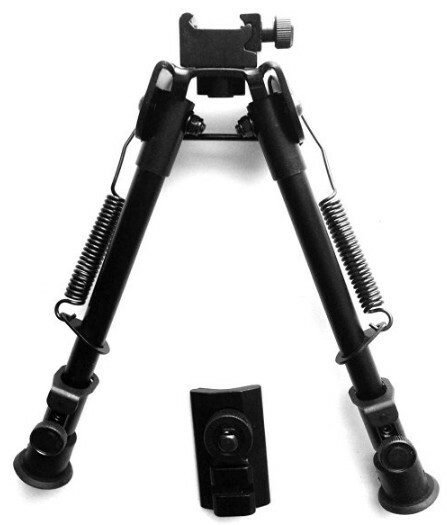 Moreover, this bipod is lightweight but also very stable and durable. The swivels can allow you to rotate your rifle up to 90 degrees. 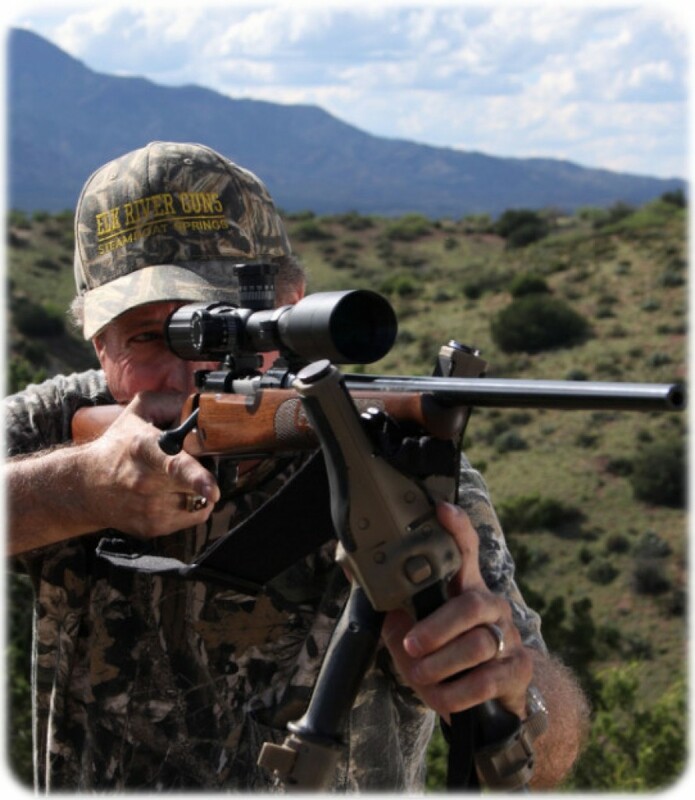 The Primos Gen 2 Bipod Trigger Stick only uses quality materials for its construction. For example, its legs are made of 7075 aluminum, which allows faster transport and setup. Furthermore, it also uses the V-Yoke technology and a fluid handle so that you can keep tracking your target smoothly. This V-Yoke is also compatible with other spotting scopes and cameras.